Jedward certainly haven’t let the grass grow under their feet since coming second in the UKs Celebrity Big Brother earlier this year. Over the past month the Dublin duo have given television interviews, filmed a cameo for ‘Sharknado 5’ alongside best friend Tara Reid (their third appearance in the Syfy film franchise), and caught up with friends Ed Sheeran and Katy Perry at BBC Radio 1, while also taking part in ‘Innuendo Bingo’ with DJ Scott Mills on that station. They were also special guests at TV personality Jonathan Cheban’s birthday party, and then attended Universal Music BRITs after-party, where they were mobbed by other guests keen for a selfie with the twins. All this however was merely the lead up to February 25, when the pair performed in front of a capacity crowd at Dublin’s famous Button Factory, made up of a mix of fans from Ireland and the rest of the world, with one even flying in from Hong Kong for the event. 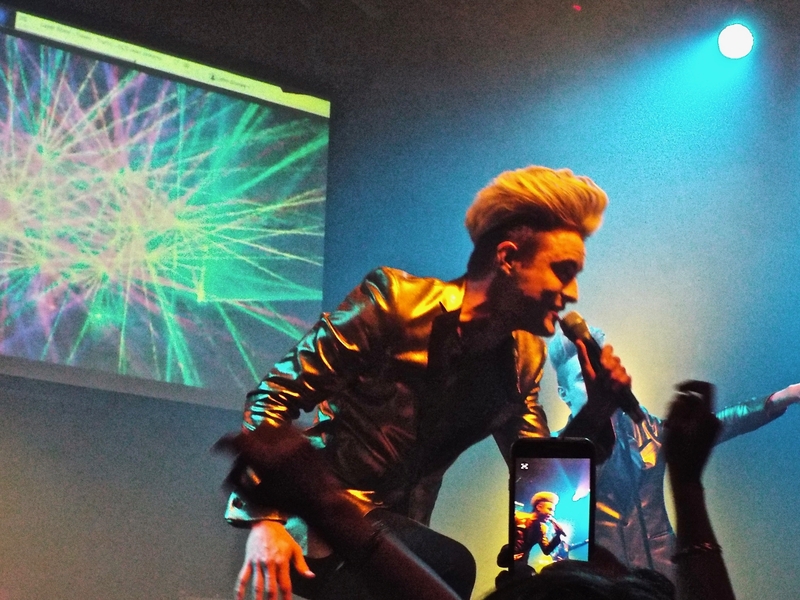 John and Edward had been very keen to get back on stage, and in the days before the gig they teased fans with what songs they were planning to sing, suggesting tracks from all three of their albums, their self-written songs, plus medleys of Britney Spears and Backstreet Boys tunes. Ahead of the show they spent several hours meeting and greeting supporters, giving each a different experience to the one before: singing, dancing, and chatting, with the guys maintaining their trademark energy. 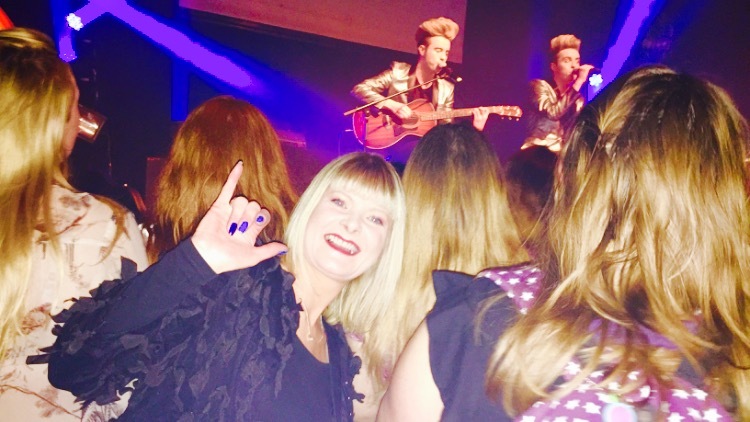 It’s testament to John and Edward’s close relationship with their fans that they know most by name, as well as details about their lives – no wonder so many are “repeat customers”! Starting at just after 7.30pm, the duo hit the stage with their 2012 Eurovision song, ‘Waterline’. Dressed in the first of many costume changes over the night, they wore matching gold jackets with black satin lapels, paired with very on-trend lapel pins, as well as their customary black skinny jeans. They started as they intended to finish – with non-stop high energy. 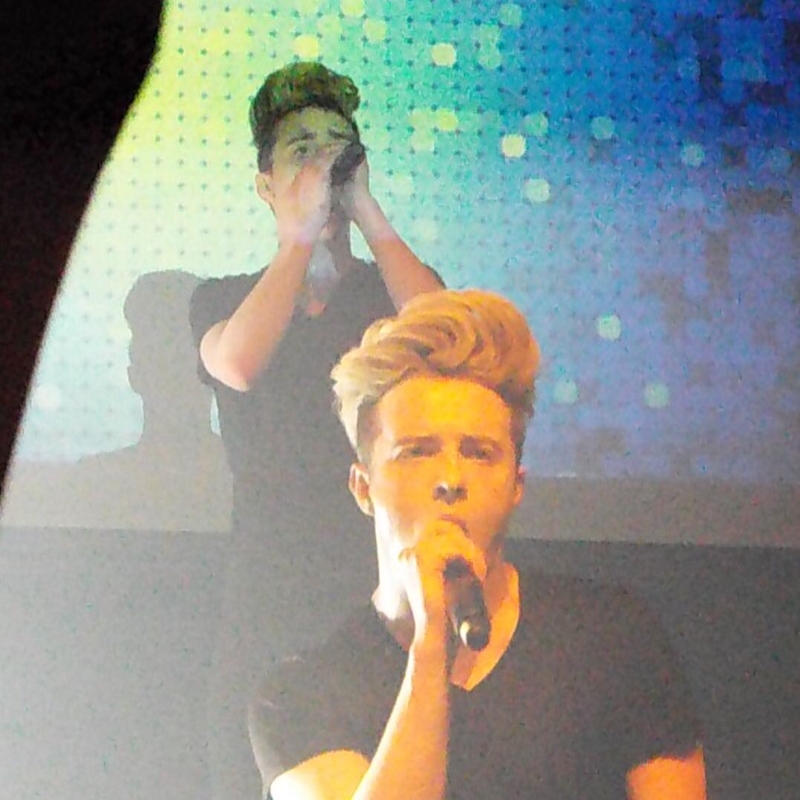 It was clear Jedward were hungry to perform, and the crowd ate it up. 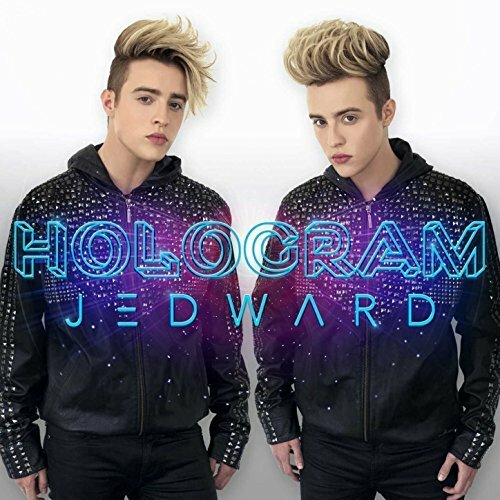 Popular dance track ‘Luminous’ was next, followed by their most recent release, ‘Oxygen’, which was released shortly before they entered the Big Brother house in January. After singing, ‘Happens In The Dark’, from their third album, ‘Young Love’, they chatted briefly about Celebrity Big Brother, before launching into ‘Can’t Forget You’, ‘Good Vibes’, and ‘Hologram’, the latter two songs written by the twins, with each having more than a million views on their VEVO channel. Taking a short breather, they played an acoustic covers set, with John singing and playing guitar, accompanied by Edward. The acoustic sets are a firm favourite, as they give the twins the opportunity to have some “banter” with the audience. They sang very slick covers of ‘Love Yourself’ (Justin Bieber), ‘True Colours’ (from the film, ‘Trolls’), and finally a mashup of The Script’s song, ‘The Man Who Can’t Be Moved’ combined with the similar sounding, ‘Say You Won’t Let Go’, by James Arthur. 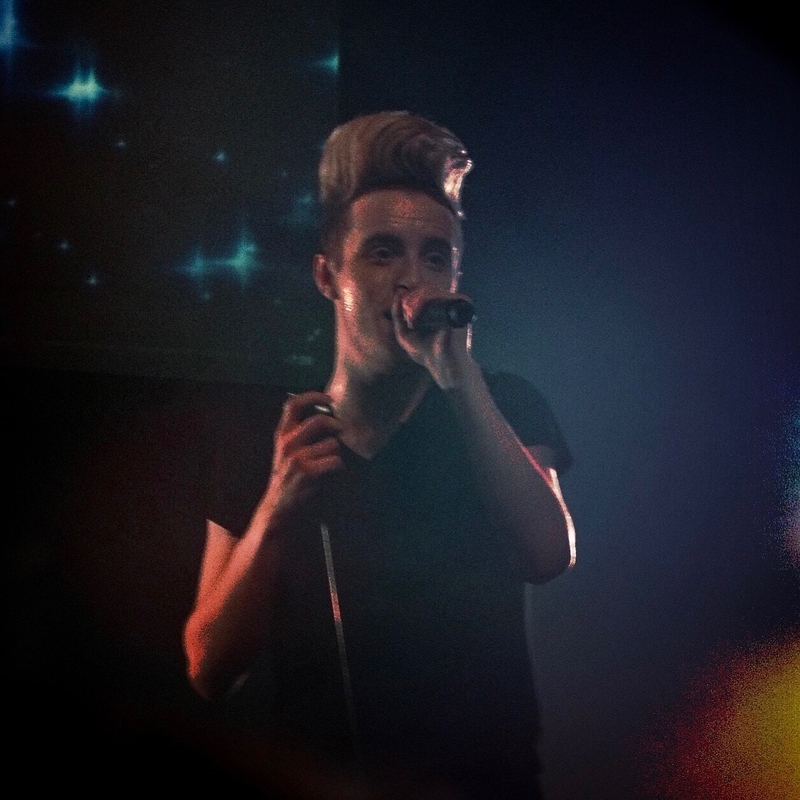 Edward at this point moved confidently into the audience to let John have the stage to himself. It’s proof of the bond between the Dublin twins and their fans – many of whom they’ve known since the start of their career back in 2009 – that they’re relaxed enough to do this. “It was my first time to see the guys in concert and it was the most fun and upbeat concert ever! From the moment they arrived on stage the party kicked off giving their fans over two and a half hours of their energy and commitment, the feel good factor was there from the moment they walked out. “Their interactions, laughter, banter and recognition of the crowd was so personal, talking to their fans by name. It really stood out how well they knew their audience. Next on the set-list was a medley of Britney Spears songs, with the pair revealing that they will go see her in concert in Las Vegas, this coming March. In quick succession they made their way through eight of Britney’s most classic tracks, beginning with ‘Hit Me Baby One More Time’, and closing with crowd favourite, ‘Oops I Did It Again’. Not stopping for a breath, they then started a second medley, this time ten songs from their ‘Victory’ album, which was released in 2011. 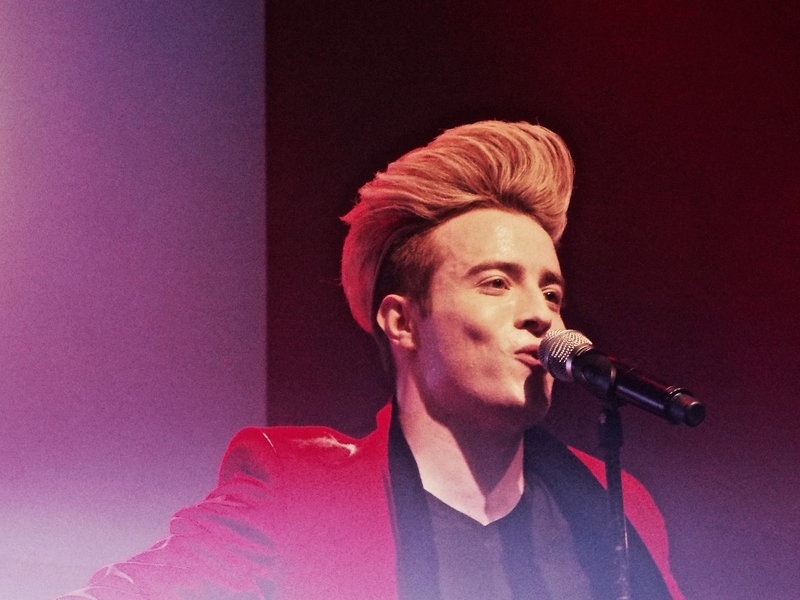 It was interesting to see how John and Edward’s voices have developed and matured over the past eight years, and this was no more obvious than when they sang tracks from their debut album, ‘Planet Jedward’, which was released way back in 2010. Songs such as ‘All The Small Things’, ‘Teenage Kicks’, and ‘Fight For Your Right (To Party)’ are probably more suited to their voices now than they were back when they first sang them aged 17 or 18, and their vocal training since then shows in the clarity and timbre of their voices – not to mention their stamina – which would hold up against any other Top 40 artist. The final half hour of the show was a mix of their self-written songs, including the uptempo ‘Oh Hell No’ (featured on the ‘Sharknado 3’ soundtrack) and ‘Ferocious’, followed by the slower ‘Leave A Mark’, as well as ‘Wow Oh Wow’, from their ‘Victory’ album. They then sang a short medley of Backstreet Boys songs, and by an A cappella rendition of ‘Wannabe’, by The Spice Girls. Rounding up the evening they introduced ‘Free Spirit’, their first ever released self-penned song, then ‘Lipstick’, the song which took them to the world stage in 2011, when they first represented Ireland at the Eurovision Song Contest. 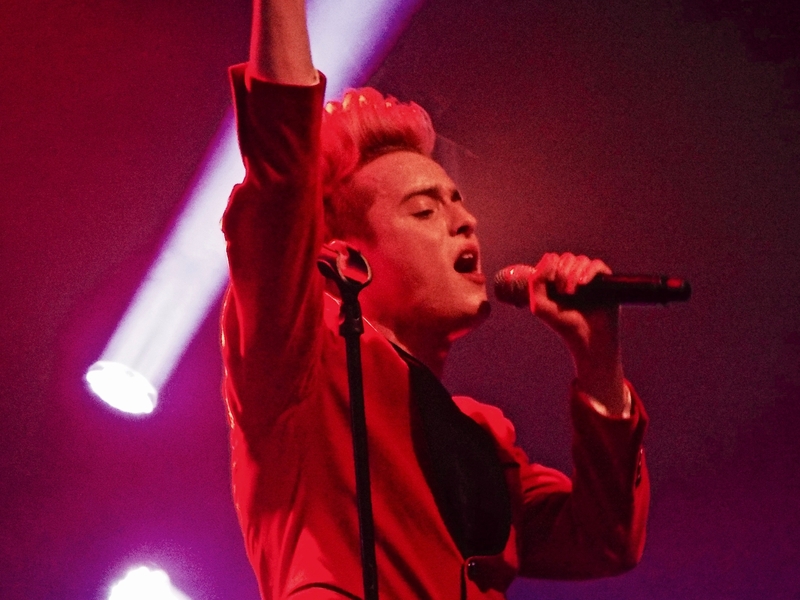 Usually ‘Lipstick’ is a sign that the concert has come to an end, but neither Jedward nor the audience wanted to leave, with chants of “One more song! One more song!” coming from every corner of the room. This was rewarded with a further attempt at an A cappella song, this time Queen’s, ‘We Will Rock You’. Finally, after 2 and a half hours, and 50 songs (including medleys), it was all over, with everyone both exhausted and yet excited for the next concert. With rumours circulating that there will be an Irish tour in April and a European tour in the summer, it hopefully won’t be long until that happens. 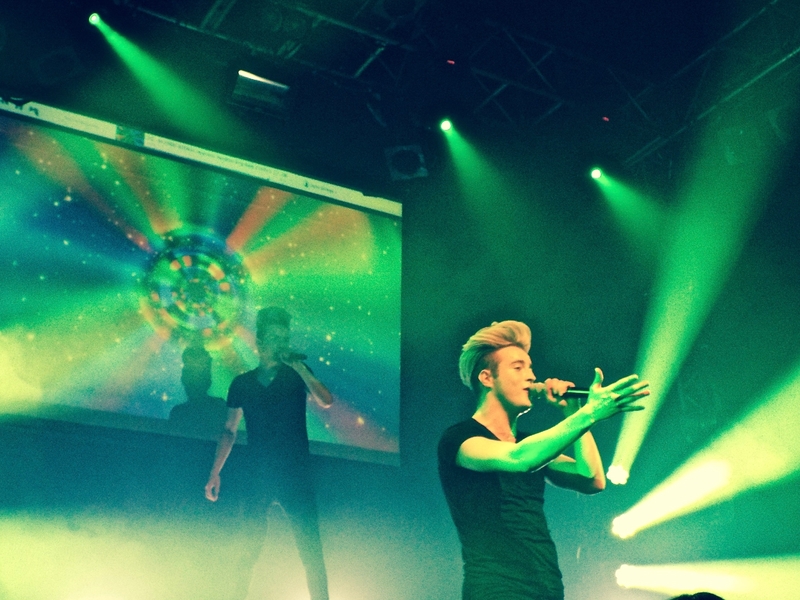 Find Jedward online on Twitter, Facebook, Instagram, and their official website. 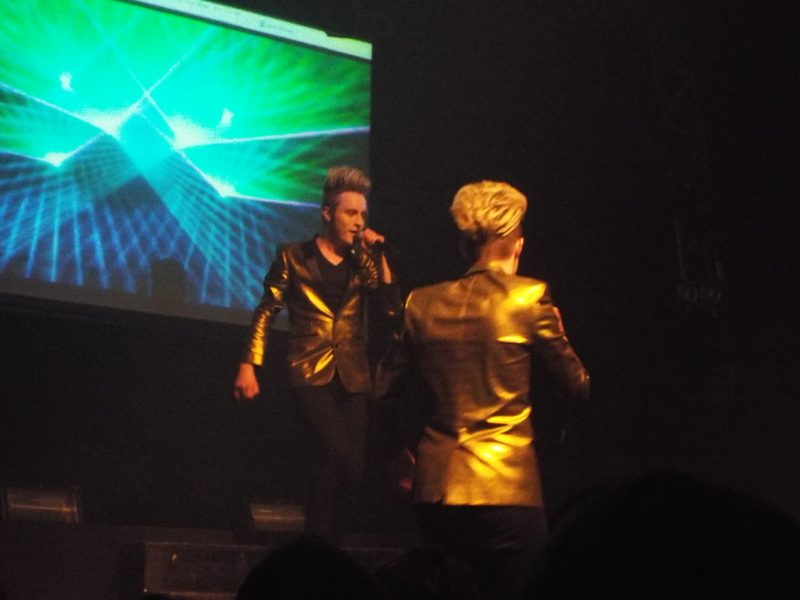 Check out their YouTube channels, JedwardTV, and JedwardVEVO. 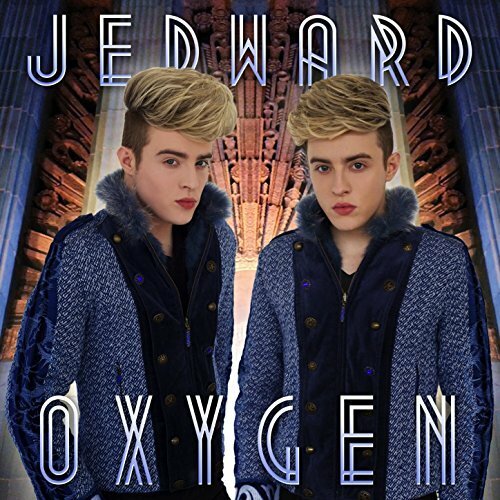 ‘Oxygen’ is available to download from iTunes, Amazon, and Google Play Store, and to stream on Spotify. This entry was posted in Celebrity Big Brother, concert, Jedward, music, new single, Oxygen, Photos, Promote, review and tagged All The Small Things, Backstreet Boys, BBC Radio 1, Britney Spears, brits, Button Factory, Can't Forget You, CBB, CBB2017, CBBJedward, Celebrity Big Brother, concert, DJ Scott Mills, dublin, ed sheeran, edward grimes, England, eurovision, Eurovision Song Contest, Ferocious, Fight For Your Right (To Party), free spirit, gig, good vibes, Happens In the Dark, Hit Me Baby One More Time, Hologram, Hong Kong, ireland, James Arthur, Jedward, john grimes, Jonathan Cheban, Justin Bieber, Justin Timberlake, Katy Perry, Leave A Mark, Lipstick, London, Love Yourself, Luminous, new release, Oh Hell No, Oops I Did It Again, Oxygen, Planet Jedward, Queen, review, Say You Won't Let Go, Scott Mills, sharknado 3, Sharknado 5, tara reid, Teenage Kicks, The Man Who Can't Be Moved, The Script, The Spice Girls, Trolls, True Colours, Universal Music, victory, Wannabe, Waterline, We Will Rock You, Wow Oh Wow, Young Love. Bookmark the permalink.